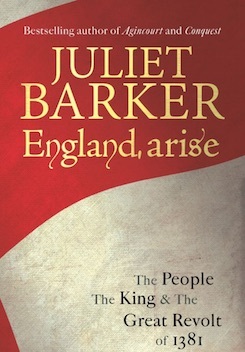 The dramatic and shocking events of the Peasants’ Revolt of 1381 are to be the backdrop to Juliet Barker’s latest book: a snapshot of what everyday life was like for ordinary people living in the middle ages. The same highly successful techniques she deployed in Agincourt and Conquest will this time be brought to bear on civilian society, from the humblest serf forced to provide slave- labour for his master in the fields and the illiterate chaplain earning a pittance running the parish on behalf of a wealthy absentee monk to the prosperous country goodwife brewing, cooking and spinning her distaff and the ambitious burgess expanding his business and his mental horizons in the town. The book will explore how and why such a diverse and unlikely group of ordinary men and women from every corner of England united in armed rebellion against church and state to demand a radical political agenda which, had it been implemented, would have fundamentally transformed English society and anticipated the French Revolution by four hundred years. The book will not only provide an important reassessment of the revolt itself but will also be an illuminating and original study of English medieval life at the time. "thorough, clear-eyed and intelligent new volume adds much to the field: packed with vivid pen portraits of the rebels and the men they hunted, and with several interesting new arguments about key figures and moments in the rebellion... a vivid and exciting portrait of a country in angry upheaval ." "vivid and exciting narrative history of the Peasants' Revolt with plenty of modern echoes of the popular rage." "...this brilliant account..a richly detailed account of the England of 1381 based on painstaking detective work..."
"...a seriously good book, scholarly but a terrific read quietly sorting out myth from probably truth, leaving the crisis of the 14th century as clear as it is likely to become..."
"Superb analysis of the real story behind the Peasants’ Revolt of 1381…a compelling narrative of a struggle against injustice ." "An accessible and informative read for history enthusiasts and useful for undergraduate students as the most complete modern account of the rising… An engaging and thought-provoking account…"
"Barker is meticulous about her research… It is Barker’s great skill in selecting precisely the right small, individual human stories that really bring the past alive." "...an accessible and informative read for history enthusiasts and useful for undergraduate students as the most complete modern account of the rising…an engaging and thought-provoking account." "Juliet Barker’s timely and comprehensive new history of the Great Revolt of 1381 … shows that, without doubt, the turmoil of 1381 cannot be left off anyone’s list." "Barker brings order to the patchwork of uprisings – “a confused series of events happening simultaneously in many places”, lamented Walsingham – not as they unfolded through time, but region by region. Hers is a thickly descriptive account, recovering the names and lives of the rebels, and the circumstances that forced them briefly on to the historical stage ...it is a considerable achievement, a meticulous anatomy of this most resonant of uprisings." 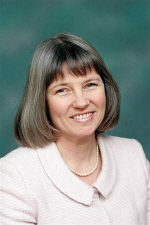 "British historian Juliet Barker, in her 2005 book Agincourt, took an incredibly familiar and much-studied subject and, through a combination of painstaking research and clear, strong prose, worked the minor miracle of making it seem entirely new, and she worked a similar miracle in her massive volume on the lives of the Brontes. So it should come as no revelation that her new book … is a stunning performance – but even so, the sheer heft and confident inquiry of the thing out-does even Barker’s own previous excellent work … [it is] by far the best history of that rebellion ever written." "...amazing parallels exist between the past and the present, as Juliet Barker brilliantly exposes ..."
"A wonderfully readable, almost gossipy account of proceedings, with lots about the people involved. It sweeps along with the vividness of a novel, but even more dramatic…This is a great read for anyone with the slightest interest in a largely-neglected chapter in our history ." "...detailed and based on thorough research." ".. thoroughly researched, engagingly written "